Participaction is an organization that has been around since the early 1970’s, that has always preached the health benefits of living an active lifestyle and participating in sports. While their most well known campaign may have been the Body Break movement with Hal Johnson and Joanne McLeod, their efforts go well beyond that one series. Their newest campaign is in celebration of Canada’s 150th birthday. It’s called the Participaction 150 Playlist and we spoke with Participaction ’s Director of Communications and Public Affairs Katherine Janson to get the low down on the new campaign. 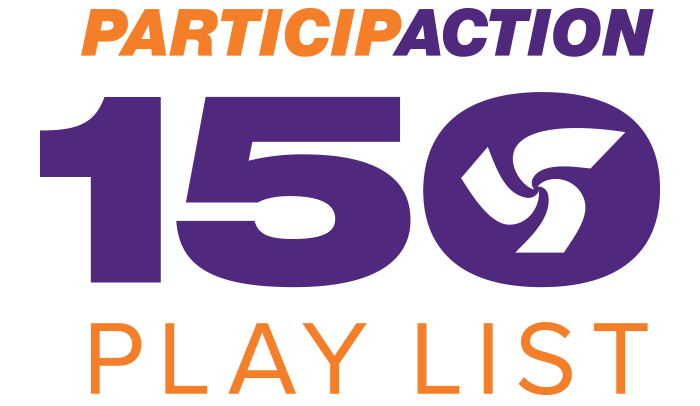 What is the Participaction 150 playlist? The Participaction 150 Playlist is a national program that we put together in celebration of Canada’s 150th birthday and it’s the ultimate list of all the physical activities that make us Canadian. We think that part of being Canadian is being physically active. If you look back to our history in Canada and our connection to the physical landscape, there has always been a lot of great ways to be physically active in this country. Whether it’s through sports like Lacrosse or Hockey, whether it’s through activities of daily life like snow shoveling or racking leaves or whether it’s through recreational activities like swimming in a lake or playing four square on the playground there are so many ways to be physically active in this country that we think it’s very much a part of our culture. We thought it would be a great way to have Canadians celebrate the 150th birthday through physical activity. It’s been awesome. We have over 700 000 activities completed by playlist participants so far. We’ve been giving out great prizes on a weekly and monthly basis. One thing that we love is that there have been lots of schools, individual people and keeners who are going gangbusters with the playlist, and they are sharing their progress on social media as they check activities off. It’s been fun to see people making this their own and engaging their friends, families and communities. How are you doing on the playlist? I am at about 54 of 150 activities. I’ve done a few things I had never tried before in my life. For example, side reach, which is an indigenous game. I’ve also tried stick pull which is another indigenous game, where you sit foot to foot with a stick in between you, and it’s sort of like a tug of war. I’m an active person who has grown up loving physical activity, I work at Participaction, I grew up playing a lot of different sports but the fact that there are a whole lot of activities on this list that I’m trying for the first time, really captures the reason why so many people are loving the list. It lets you appreciate some of the things you already do in your life, like house work, as a form of physical activity, but it also lets you try things you’ve never tried or even heard of before. What is the most unknown activity on the list? There are a few activities that people have to look up. One thing people are really intrigued by is one foot high kick, which is another indigenous game that requires you to jump off one foot, kick a ball high in the air and then land back on the same foot you kicked it with. It takes incredible balance and athleticism and it’s really hard, but trying that out is fun. Some other fun things that you might not think of as physical activities that are on the list are, Polar Bear Dip, shoreline clean up, baton twirling, washing your car and even quiddich. Which has become very popular in Canada and have even formed leagues. There is also games like Pickle Ball, which is very big amongst seniors. It’s a modified tennis game that you play on a court. It all just goes to show you that there is a whole variety of people who are into activities that you’ve never heard of. We created the list through input from Canadians. We went to Canadians and asked what their favourite ways to be active were. You could vote online and we got almost half a million votes and then we added in some expert opinions. The voting was fascinating, because it really showed us, not just what people do, but what they are most passionate about. We had a huge push from the hunting community to include hunting on the list, and that passion led to it making the list. What sorts of Prizes are you giving out? We have weekly prizes, which are gift cards from Tim Horton’s and Mountain Equipment Co-Op, as well as Garmin fitness trackers, we have monthly prizes which are Canadian adventure vacations sponsored by Fairmont. The national grand prize is any Chevy vehicle of your choice valued at up to 40 thousand dollars. And of course, bragging rights are also on the line. For a lot of us, staying fit can be a chore, so something like this, the 150 Playlist, is a different way to get a workout in, and have fun doing it. You can sign up at Participaction and start checking things off of the list.